Alex fell in love with the DC Metro area in 1995, when he moved here after he joined the State Department as a Foreign Service Officer. Since then, he has lived in Latin America, Asia and the Middle East. He returned to the area after serving as a Country Director with Peace Corps and has owned a home in the City of Falls Church since 2009. Having lived all over the world, Alex knows, without a doubt, that the DC Metro area is a great place to call home. Whether you are a first-time home-buyer or a seasoned home-owner, Alex will bring insight, integrity, information and a wealth of life experiences to your real estate transaction. Licensed in DC, Maryland, and Virginia, he provides top quality service and looks after your interests as if they were his own. Alex has a great understanding of lifestyle transitioning and the nuances involved, especially when assisting clients moving to the area after being posted abroad. He knows the DC Metro area well, having lived here in various stages of his career and family life. A lawyer by training, Alex serves as your advocate to ensure that you know all the facts, are treated fairly and with integrity, and get the best deal you can. 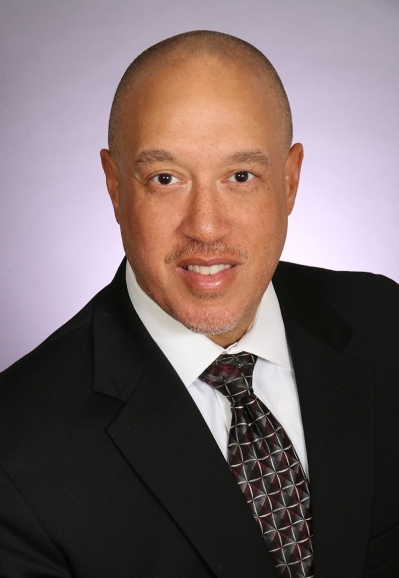 He uses his knowledge and experience to efficiently help you achieve your goals with minimal stress, whether you are renting, buying or selling and offers complete transaction coordination. Alex lives in the City of Falls Church with his wife and two teenage sons. He enjoys being a Soccer dad for his younger son. An active member of the community, Alex serves on various boards and commissions. He currently serves on the Executive Committee of Citizens for a Better City. Alex has a BA in Political Science from Yale University, an MPA from Princeton and a JD from Harvard Law School. "Due to a job transfer, I was needing to relocate to the DC area by February. The stress level I had was high due to my wife and I procrastinating on making the decision to relocate, needing to break an existing lease and moving to an area that I had only visited once in my entire life. Because of all of this we ended up needing to locate a rental over the Christmas and New Year holiday. We initially responded to a couple of craigslist ads and by chance (really in hindsight, some pretty good luck) Alex was the first and only one to respond. Initially we had only scheduled to view one rental with Alex on a Saturday. Alex spent the majority of that afternoon showing me the property, handling the paperwork and answering any question I had. He didn’t rush anything nor pressure me into signing a lease and made very clear that he was there to help me find exactly what I was looking for. Given that this all happened over the holidays, Alex was more responsive to my questions than even I had expected; he even called my while traveling to visit his family for the holiday. The next weekend, my wife and I located another place that we thought would be a better fit and worked within our time constraints to get a viewing the very next day. Because of all of this, there is no doubt in my mind who I will be using as a realtor for buying a house in the DC area." "Dear Alex, Both myself and Elizabeth wanted to write to thank you for all your help getting into our new house. As you know, it was somewhat of a challenging search but we are very happy with where we ended up. Had we not had your knowledge of the local housing market and expert negotiating tactics, I think we might still be looking! We were both somewhat surprised by the difficulty of the housing market here in the DC area, and truly appreciate your help navigating through it. Your availability at all hours of the day, including over the holiday, was truly an invaluable asset as we struggled through the complicated process of putting down the application on the house. We look forward to working with you again in the future and will be pleased to recommend the same to anyone else in the area. Sincerely, Scott"
"To Prospective Homebuyers and Renters, My husband and I are writing to express our pleasure working with Mr. Alex Boston as our real estate agent assisting our search for a new rental home. As our lease in our previous condo was ending a few weeks after our wedding, it was an incredibly stressful period and we were pressed for time to find a new home. Alex is extremely professional, attentive and honest,looking for homes that would best suit for our family. He was extremely prompt in returning my (often frantic) phone calls, texts, and emails. We never felt neglected and he never wasted our time with homes that were not in our price range or not in line with our needs. He guided us through the process of finding our perfect rental home with ease. From communicating with prospective landlords and establishing viewings all the way through application approval and final walk through, Alex exceeded our expectations. He also sent us our first piece of mail; a congratulatory card for our new home. We highly recommend Mr. Boston to represent you as a buyer or renter. Sincerely, Matt & Krista Wolfe December 2015"